On the last Friday of the summer, under a tent at the Mount Airy Casino in Mount Pocono, PA the Boxing Diva was ringside for the fights. It was just the kind of fights I like; up and coming kids giving it all they have. There were no TV cameras, famous celebrities ringside, or banners of huge promoters above the ring. Promoted by New Jersey based promoter KEA Boxing, the card consisted of fighters with records of less than 15 fights. Mostly local fighters, coming from the New Jersey/Pennsylvania area. The first fight on the card was between two heavyweights. Joe Cusamano of Virginia Beach, VA advanced his record to 5-1 winning a unanimous decision over Taffo Asongwed from Montreal, Canada. In what was a very active fights as far as heavyweights are concerned. Throughout the fight, the taller fighter Cusamano did not establish his height, and although he landed the harder punches overall he certainly caught more punches than he had to. Fighting through a few head butts coming from Asongwed, Cusamano continued to back Asongwed up, frequently landing his overhand right. 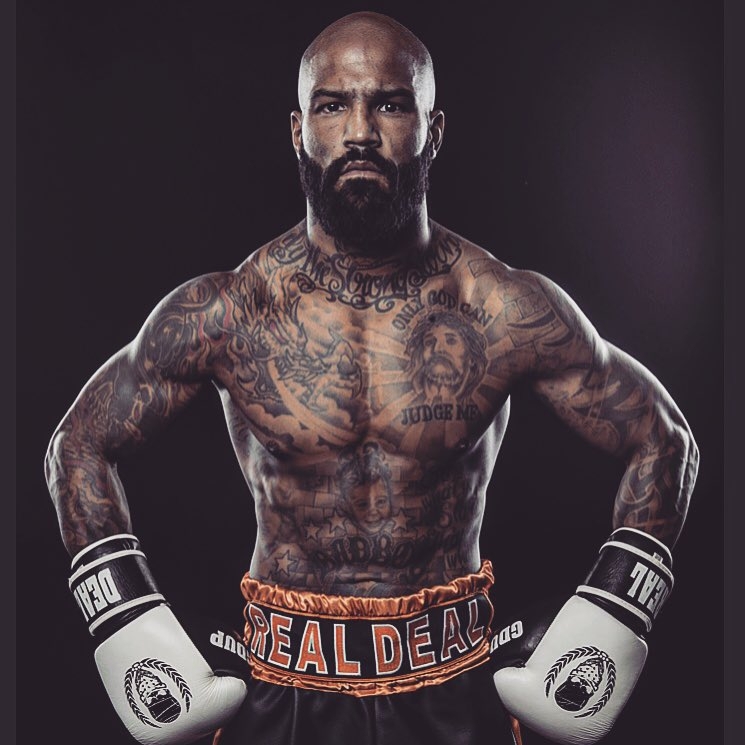 Occasionally, Taffo would counter but did not do any real damage to his opponent until the end of the third round when both fighters landed huge blows to end the round. The fourth round was the same as the first two, lacking the action of the third. Cusamano showing the dominance he needed to get the decision from all three judges who scored the bout 40-36, 40-36, and 40-36. With another New Jersey native in the ring David Roman of Paterson fought to a draw against Emmanuel Medina of Quincy, Massachusetts. While the fight was certainly action packed, with both fighters taking turns controlling the pace all three judges ringside scored the fight 38-38. Even though Medina seemed to be ahead on the cards from my view on press row, Roman answered all of the punches and continues to box well through the entire fight. In what was another quick trip into the ring for a different set of fighters, Philadelphia fighter Elizabeth Sherman made quick work of her opponent Christina Leadbeater of Westville, NJ. The fight started at an epic pace with fists flying furiously fast as both women wasted no time in feeling one another out. As the pace seemed to slow Sherman landed a left hook to the body of Leadbeater, reminiscent of the shot made famous by Micky Ward. Leadbeater immediately dropped to the canvas and was unable to answer the count. Next up was local favorite Robert Sockwell of nearby Scranton, PA (4-2-1 4KO). He was returning to the ring after a nine month lay off, citing in a post fight interview that the reason for the lay off was simply the right fight was never put in front of him, and when there was a good opportunity he was ready. Difficulties fighters with no promoter often face, Sockwell is a free agent. 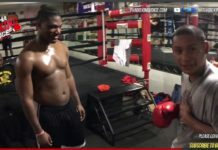 However he claimed he was ready for whomever, “I’m in the gym full time now, ready for whomever. My job is to win.” He won on Friday night. While he admitted that he didn’t stick to his original game plan, he was happy with the second round KO over yet to be victorious Tyrell Boggs (0-5). 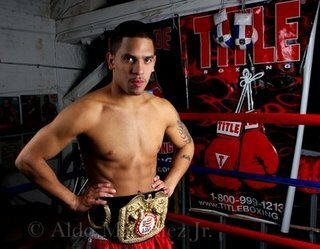 The main event featured KEA promoted prospect Juan “The Beast” Rodriguez of Union City, NJ. He stepped into the ring against Dontre King of Cambridge Maryland. While Rodriguez dominated the first round, both fighters spent the round settling in. However in the second round Rodriguez began to set the pace, fighting a little more defensive. The third round brought some shots from King that Rodriguez caught while stuck on the ropes, however King was quickly halted by an accidental low blow that sent him to a neutral corner to recover. “The Beast” dominated the rest of the third round landing lots of body shots and backing King up. The beginning of the fourth round was the same, until Rodriguez was rocked by a solid right hand unloaded by King. Rodriguez regains control and get back on pace landing huge shots through out the fifth and sixth round. Although it appeared that Rodriguez was looking for the knockout, the fight went to the cards and the judges scored the bout a unanimous decision for Rodriguez with the scorecards reading 59-55, 60-54, and 60-54. While the two biggest names on the card dropped out shortly before fight night (Alex Perez and Derrick Webster were scheduled to be on the card), the talent showcased made up for it. In my opinion, I don’t think the crowd noticed. The venue, the weather, and the fighters seemed to all be cooperating on Friday night, and the fans truly benefitted. Next articleCould A Possible Wladimir Klitschko-Chris Arreola Fight Mean The End Of The Road For Vitali?